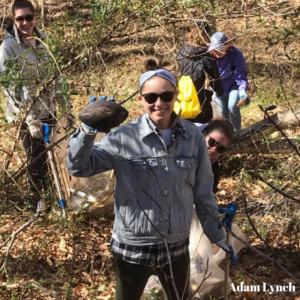 Leading up to our annual Wild & Scenic Film Festival, students from the University of Mary Washington helped clean up Cosner Park and the Rappahannock River. Students collected over 1,000 pounds of trash, including some more unusual items like a wicker chair, basketballs, footballs, grill grates, a hose, electrical wiring and more! Unfortunately, 80 percent of trash collected in river clean ups is recyclable plastic. 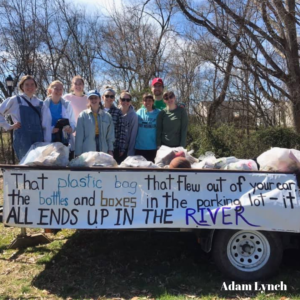 It’s always inspiring seeing students help make a difference and play a part in keeping the Rappahannock River healthy. Volunteer support and passion for a healthy Fredericksburg environment is an important factor in inciting real change. 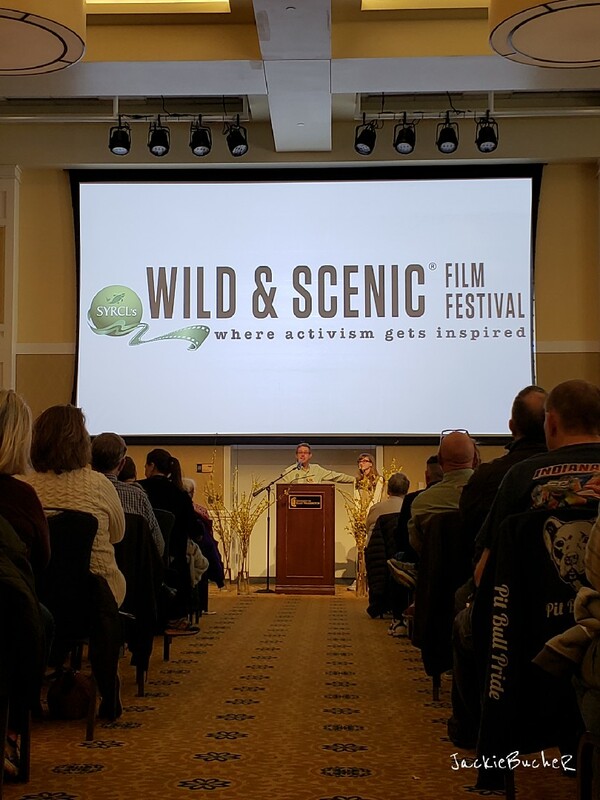 Many UMW students then attended our 9th annual Wild & Scenic Film Festival on March 26th. Thanks to generous support from UMW who hosted and sponsored the event, we had a record number of attendees. Around 400 attendees saw inspiring films that covered topics from climate change, plastic waste mitigation to alternative farming techniques and fly-fishing adventures. Thanks to the University of Mary Washington and our many other community sponsors, the event was a huge success! Lots of fun was had, raffle prizes were won, and many voiced their opposition to the new proposed definition to the Waters of the United States.